Dr. Garge Shaileshkumar S is a Consultant Interventional Radiologist at Citi Vascular Centre. He has rich knowledge and proficiency in performing and interpreting the Ultrasound and Doppler. Dr. Garge Shaileshkumar S is known for his research and part of many publications along with other experts. Dr. Garge Shaileshkumar S is editorial board member of Pakistan Journal of Radiology. 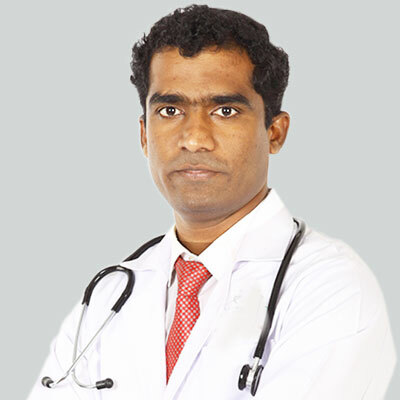 He is a member of Asia Pacific Society of Cardiovascular and Interventional Radiology and life member of Bombay Neurosciences Association, Mumbai. Member of Asia Pacific Society of Cardiovascular and Interventional Radiology. Radiology(ISVIR) Life Member of Bombay NeurosciencesAssociation(BNA) Mumbai. 1st Rank in All India Level -CMC,Vellore Intervention Radiology exam held on 24th June 2014. 6th Rank in All India level-NIMHANS DM Neuroradiology entrance examination held on 24th may 2014. Currently working as Consultant and Head,Division of Interventional Radiology,Department of Radiology and Nuclear Medicine. Previously working as Assistant Professor in the Department of Radiology and Intervention at Christian Medical College(CMC),Vellore,India. Fellowship from the department of Radiology and Interventional at Christian Medical College(CMC), Vellore, India.